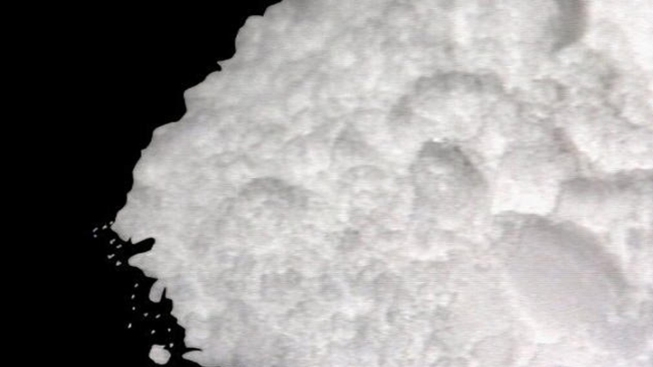 Authorities in New Jersey say that they've seized more than 11 pounds of cocaine after learning that someone tried to ship drugs using U.S. mail. Joel Osman Matos-Santiago, 33, Victor M. Santana-Ricardo, 27, and Jessica Rodriguez, 25, were all arrested after police in Somerset County learned about a pair of packages possibly containing drugs being shipped from New Brunswick to a home in Franklin on Oct. 8. Authorities say that when the two packages were intercepted at a post office in Franklin, police dogs indicated that they contained drugs. The package was then delivered to the house, where authorities allege that Matos-Santiago and Santana-Ricardo were waiting outside. Matos-Santiago left, and Santana-Ricardo told police that he was told to leave the package on the steps and that he was Rodriguez's wife. Matos-Santiago came back a little while later and put the packages in his car and sped off, authorities say. Police tried to stop the vehicle, but the driver allegedly tried to elude capture. Matos-Santiago's car eventually hit a police car on Park Street, and the man was placed under arrest. Police later searched the vehicle and opened up the packages, finding the cocaine. Authorities say the drugs could have sold for as much as $500,000 on the streets. Matos-Santiago faces drug possession, drug conspiracy and eluding police charges. Santana-Ricardo and Rodriguez both face drug possession and drug conspiracy charges.